Height: males 27-32 in., females 25-29 in. Weight: males 110-130 lbs., females 80-90 lbs. The Great Pyrenees is a giant defending home and family, but gentle with loved ones. 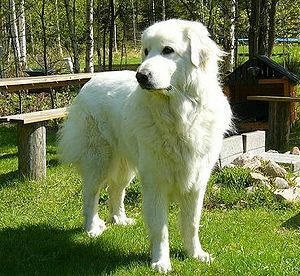 The Great Pyrenees is a descendant of the Hungarian Kuvasz and the Maremmano-Abruzzese and kin to the St. Bernard and Newfoundland. The breed may have originated in Asia or Siberia, but its home is France. What does the Great Pyrenees look like? 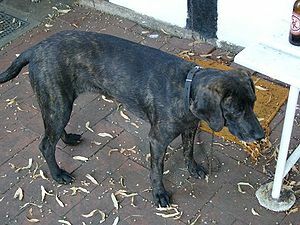 This is a very large dog weighing between 90-130 lbs. Height is about 25-32 inches but can reach 40 inches. It has a large head, black nose and brown eyes. Ears are triangular and pendent. The Great Pyrenees has a long tail reaching the hocks. 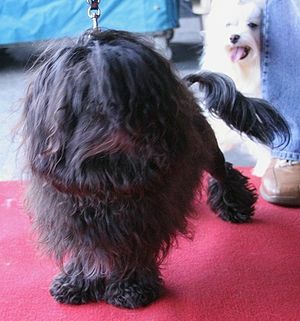 Its coat is thick, soft and weather resistant. 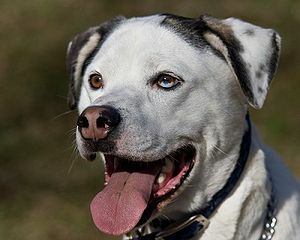 It is always white, sometimes has light tan, grey or yellowish markings. What is the Great Pyrenees’ temperament? The Great Pyrenees is a hardworking and affectionate dog. It needs a firm hand in training or it might show dominant traits. The Great Pyrenees does well with cats but might show aggression towards other animals. It has a gentle nature with its loved ones and will be a loyal friend. What are the Great Pyrenees’ uses? The Great Pyrenees as it’s name hints at is a mountain dog, but has many uses. It is a sheep-guarding dog, a rescue dog for avalanche victims, a sled and pack dog. The Great Pyrenees will defend its family and home rigorously. It is not a dog for apartment living as it needs lots of space. It is loyal to its family and very affectionate.